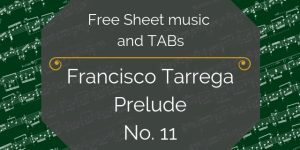 You’ve found the free sheet music and TAB for Op. 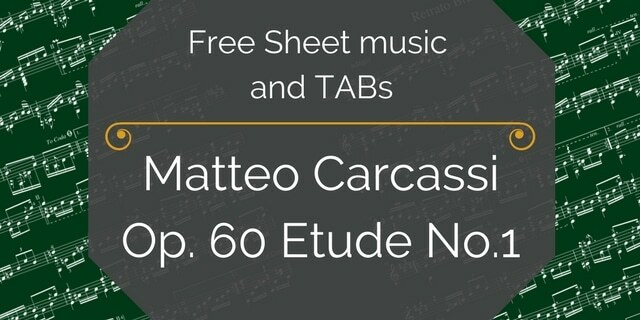 60 Etude 1 by Matteo Carcassi. 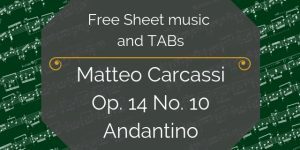 Matteo Carcassi has long been a favorite of classical guitarists, and pieces like this on is why. 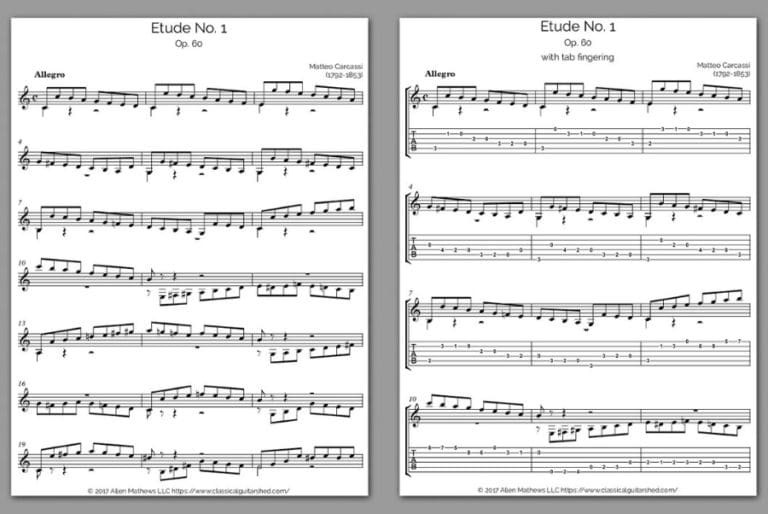 This etude (an etude is a study) has it all: flowing scales, crafty shifts, and boiling chords. 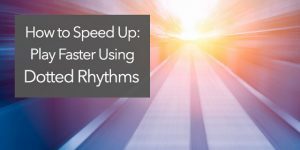 It makes a fun and challenging addition to any technique practice. 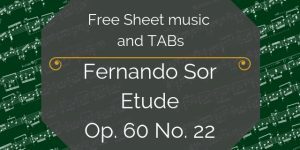 This piece comes from his much-loved opus 60 (an opus is a collection of tunes). And thousands of guitarists across centuries have cut their teeth on it.